This economically priced, high value stringpot is the perfect solution for both the OEM and single piece user alike. Constructed with a rugged polycarbonate enclosure and freerelease tolerant measuring cable, this stringpot provides full stroke measurement ranges up to 50 inches. 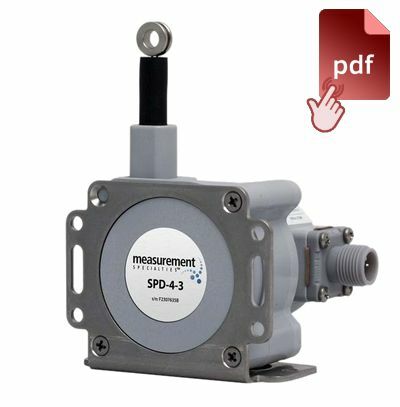 This series comes in 4 dierent models: the SP1 and SP2 offer a voltage divider output; the SP3 and SPD provide user selectable 4-20mA and 0-10 Vdc output signals; the SE1 offsers incremental quadrature encoder output.